What do you do when you want to download a video from YouTube? You probably wander around the internet – looking for websites where you can copy paste your video URL and get the download link. You don’t know what to do – most of the sites out there don’t work, the ones which work either risk your security or offer immensely cheap quality experience. What a horrible experience it is for an amateur to download a mere YouTube video! No matter how far we might have gone in terms of technological advancements, such a meager issue still remains a matter of misery for each one of us. Believe it or not, this solution is your key to instant video downloads. It’s AllMyTube – the fast YouTube video downloader. I love AllMyTube, and you would too! Downloading a YouTube video was a humanitarian task for me as well until I discovered this awesome software called AllMyTube. AllMyTube is professionally built and works every time like a charm. There’s a reason behind calling it a fast video downloader – and you will realize it only after you look at the features. It’s not necessary that you will always get your video stock from YouTube. You might need to download a video from another source as well, such as Facebook, Vimeo or Dailymotion. What would you do then? There’s no need to get stuck. Fortunately, AllMyTube supports downloading from thousands of popular websites. Don’t believe it? Try it out yourself then! Basically, you just need to copy the video URL you intend to download and click on the paste URL button provided at the top left. 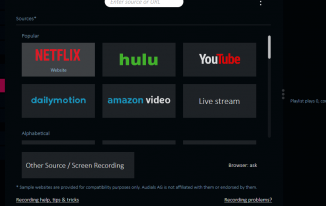 AllMyTube would grab the URL automatically and start downloading. You can witness the fastest YouTube downloader into action at that time! After a recent update, there’s another way of downloading your desired video. You can see a download button in your browser – clicking on that button will begin your download immediately. The process is simple, and it is wicked fast. What’s there to do in it after all? In case you don’t want to switch between your browser and AllMyTube repeatedly, there’s an inbuilt browser to help you out. 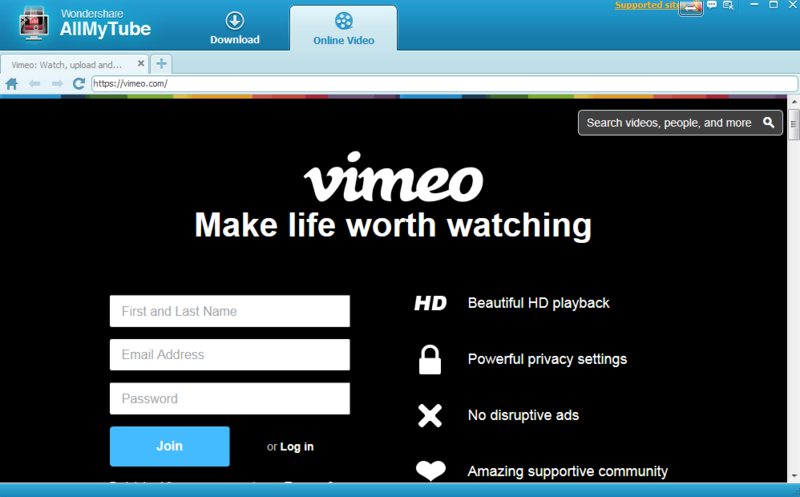 You can open any webpage on that inbuilt browser and download videos you like. The fast video downloader is fast at the browsing part too! Now this is something you’re definitely going to love. You can download an entire playlist or channel with one click. 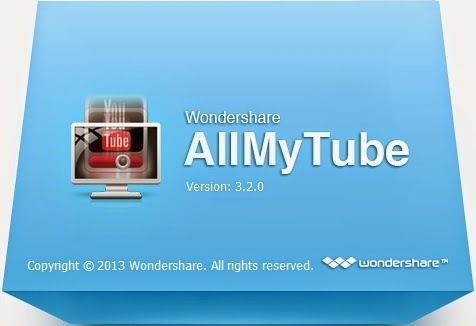 Yes, Wondershare AllMyTube has made it possible! Just think about how much of laborious work you’re saving for yourself! Our one and only fast video downloader is so flexible that it can download an entire channel in one shot. Never have I seen such a feature elsewhere. Download speed? I’ve told you before – it’s blazing fast! In fact, I like to call it the fastest YouTube downloader made till date! I get more download speed here than I get elsewhere. Also, if you’re used to downloading videos, you might have noticed that pausing and resuming a video download sometimes leads to download failure. This is not the case with AllMyTube. I tried pausing and resuming a video – and it worked. 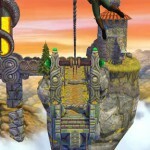 The YouTube fastest downloader is also capable of downloading at high resolutions. You are allowed to choose the preferred download quality in settings. You can keep it as low as 144p to as high as 4K video quality! Moreover, you can directly download your video as an MP3. This is helpful when you’re only concerned with the music, and not the video. You can even play the video within the software through the inbuilt video player. What else do you need my friend? The video obtained from YouTube is usually of MP4/FLV file format. This format is quite flexible, but you might not find it working everywhere. For instance, a feature phone would not support these formats. Also, you should consider converting your video into the recommended file format for your device in order to get the best quality possible. 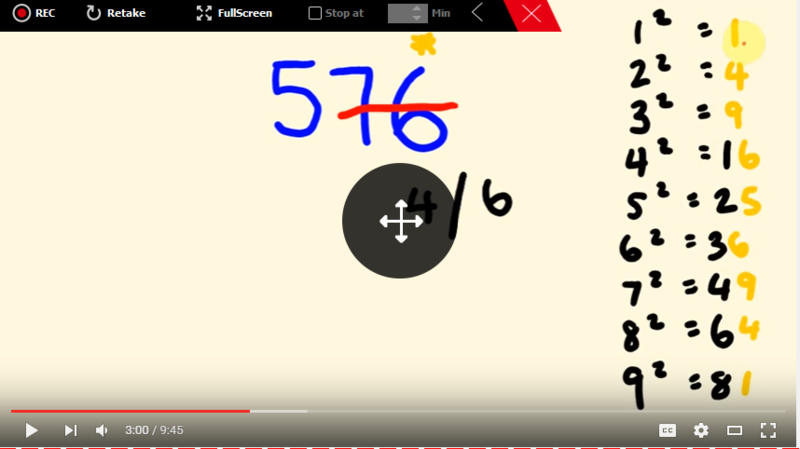 AllMyTube has got a “Download then Convert” option that converts the video immediately after download. You can choose your appropriate format to convert – there are a lot of formats on the cards for you – AVI, WAV, DivX, MOV and many more. You can even choose your preferred device in case you’re not sure about the formats. Surprisingly, you don’t even need a USB cable to send those files to your device. The inbuilt Wi-Fi Transfer option makes your work even easier. If your desired video is from an unsupported website, or there are problems while downloading, no need to worry at all! 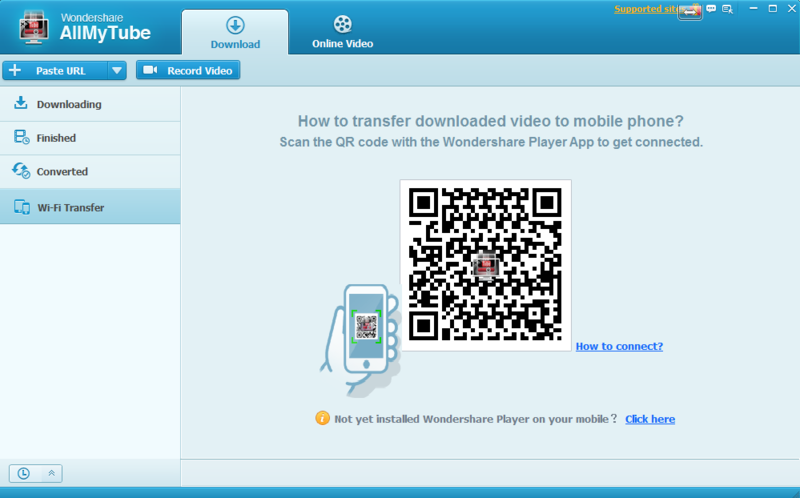 The fast YouTube video downloader is also capable of recording videos from anywhere. Simply drag the record window to the appropriate place and start recording. The recording window is smart enough of changing its size automatically. Also, there is a retake option at the top to re-record in case there is some fault. The pricing model is pretty simple. Get an annual license for 1 PC for $19, or grab a lifetime one for $29. If you need lifetime licenses on multiple systems – 2 to 5, you can get them all for $72.5. For more bulk orders, you can contact them for a discount too! I guess you like AllMyTube – the fast video downloader. If you’re someone who is a big fan of videos, you should definitely consider trying AllMyTube out. It’s fast, sleek and comes with a plethora of features. The features are indeed unique – I haven’t yet found such flexibility elsewhere. What do you think of AllMyTube? Share your views in the comments section below. 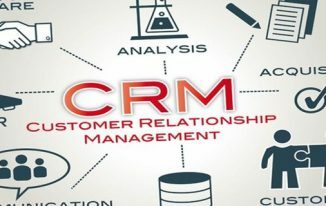 This software sounds good, easy, and reliable. Its price isn’t expensive. Although many sites provide online video downloader and converter, but I prefer installing it on PC. It will be faster and easier. This Software is very helpful to download and converting videos, basically, I am using IDM. IDM simple download videos do not convert, but this software is really Very helpful for me. Thanks for shared. I prefer Allavsoft for its batch downloading and directly download video or audio to MP4, AVI, MP3, MPG, MOV, AAC, WAV etc.